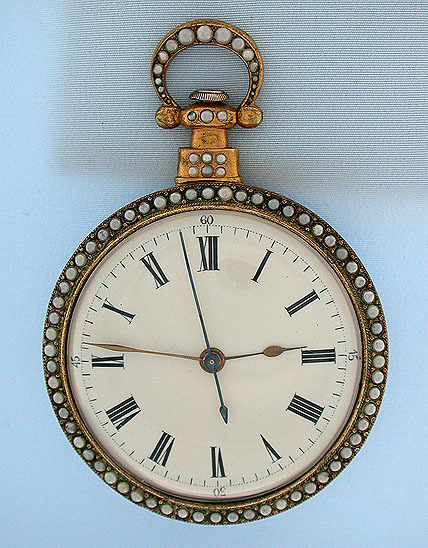 Good Swiss gilt pearl and enamel duplex antique pocket watch for the Chinese market circa 1850. 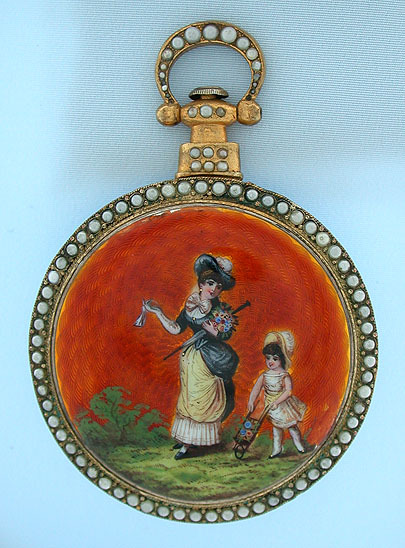 The bezels, pedant and bow set with pearls, the back centered with a painted enamel scene (slight glaze chip) of a fashionably dressed mother and daughter against an orange engine turned background. White enamel dial with sweep center seconds. 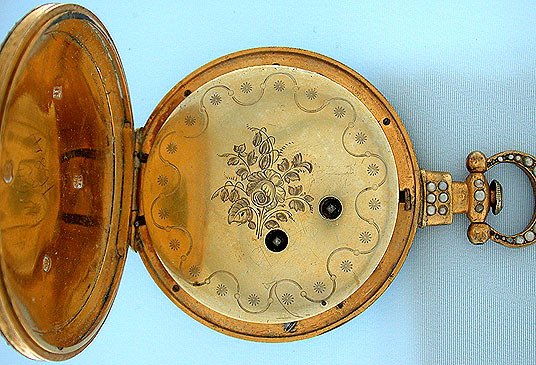 The case with pseudo English hallmarks and engraved spring hinged dust cover. 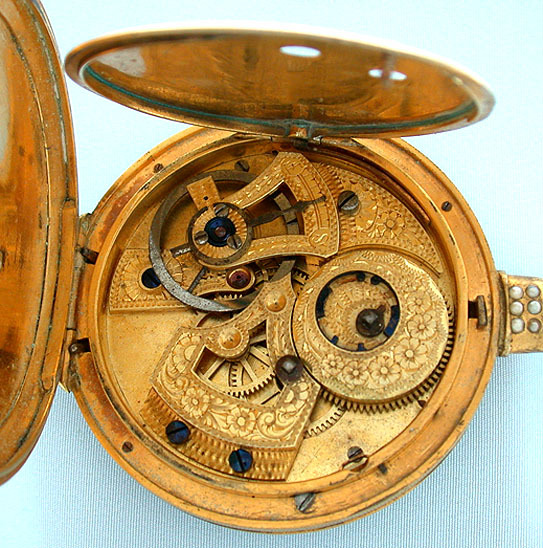 Beautifully engraved gilt bridge movement.